Carlos Soltero graduated from Yale University Law School. He is a partner and heads the Litigation Group at McGinnis Lochridge law firm in Austin. He primarily represents individuals, lawyers, and small businesses in courtroom disputes ranging from commercial, intellectual property and technology, to malpractice, personal injury and wrongful death cases. He tries a wide range of cases as a first chair or in a supporting role to juries, judges and arbitrators as well as handling dispositive or case-altering hearings. He serves on the firm’s Management Committee, and manages the South Texas Practice. Carlos is fully bilingual and a native Spanish speaker. 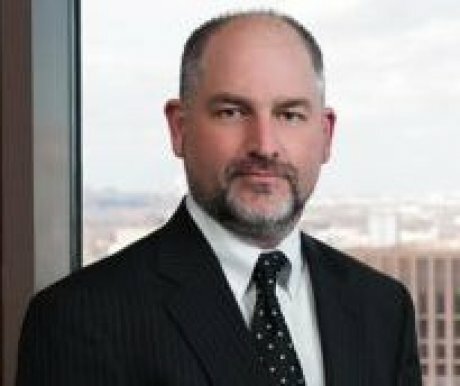 Recently, Soltero’s work has included defending five software engineers in a non-compete and trade secret claim where their former employer claimed, among other things, that the Internet of Things is its trade secret; working on appeals of complex legal issues for Texas landowners and a health insurer; and representing clients in wrongful death and personal injury cases involving trucking and other accidents. Soltero is frequently asked close to trial to lead a case or assist as co-counsel with witnesses or jury instructions and other trial work. He represents other lawyers and assists them in a range of professional and personal litigation matters. He has also published and lectured in various areas relating to trial and pretrial practice — including jury selection, expert challenges, attorneys’ fees, discovery, choice of law in private international litigation, and employment discrimination. Soltero has been selected to the Texas Super Lawyers Rising Star list, a Thomson Reuters service (2004-2009) and the Texas Super Lawyers list, a Thomson Reuters service, (2012-2016) and is Board Certified in Personal Injury Trial Law.